The energy and power analyser C.A. 8334B is suitable for graphic network analyses. 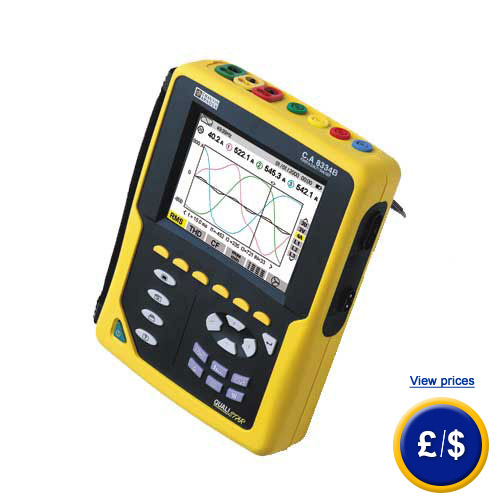 The energy and power analyser supports measurements up to 6500A. 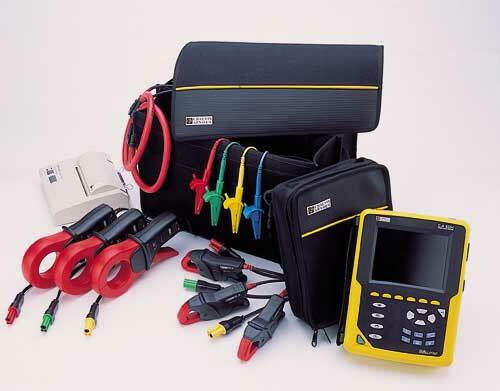 The energy and power analyser detects electricity via electricity clamps and thus ensures highest safety. The TRMS measuring emphasises the high quality features of the energy and power analyzer C.A 8334B. Aside from measuring electricity, voltage, and power efficiency, the energy and power analyser is able to measure frequency, energy and harmonics up to 50th order. The graphic display of the energy and power analyser enables an accurate and simple analysis of the measured data. The measuring data is stored on the 2 MB data storage of the energy and power analyser and can be read out via an optic interface. The evaluation software, which is included in the delivery content for the energy and power analyser, allows a broad analysis of stored data. Due to different current transformers the energy and power analyser is applicable for different measuring assignments. For further information about the energy and performance analyser, please read the following technical data or use our hotline: UK customers +44(0) 23 809 870 30 / US customers +1-410-387-7703. Our engineers and technicians will gladly advise you regarding the energy and performance analyser and all other products in terms of regulation and control, and scales and balances of PCE Instruments. LCD 320 x 240 Pixels, 5.8 "